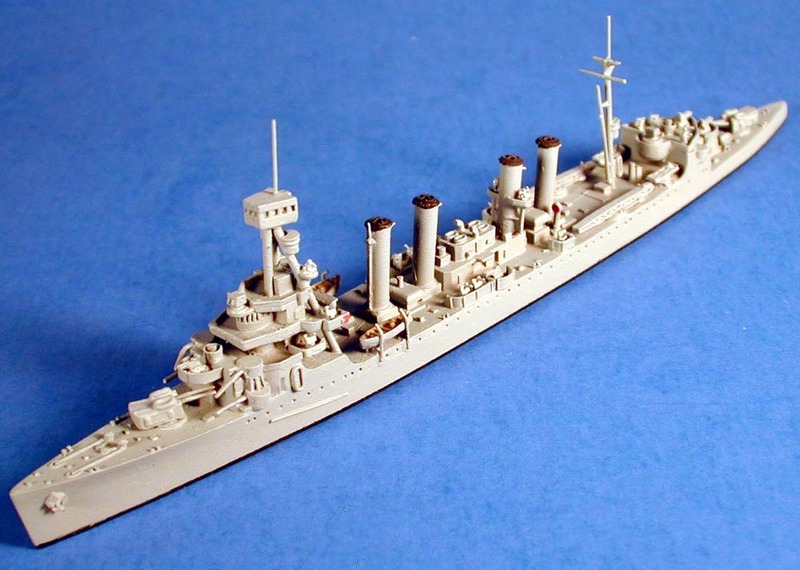 USS Marblehead, a 7050-ton Omaha class light cruiser built at Philadelphia, Pennsylvania, was commissioned in September 1924. She made her shakedown cruise to Europe and in 1925 steamed through the South Pacific on a voyage to and from Australia. During 1927-28, Marblehead served off troubled Nicaragua, crossed the Pacific to war-torn China and returned to Nicaragua during that nation's elections. 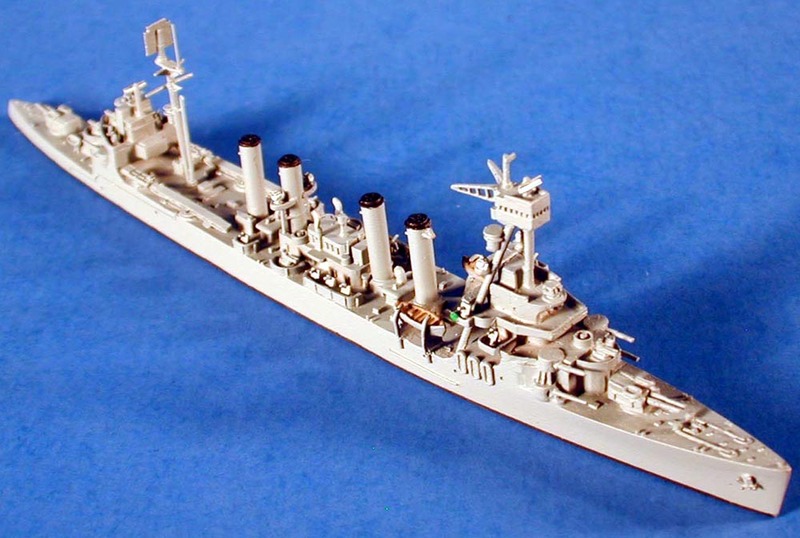 The cruiser served with the U.S. Fleet in the Atlantic and Pacific during the remainder of the 1920s and most of the 1930s. 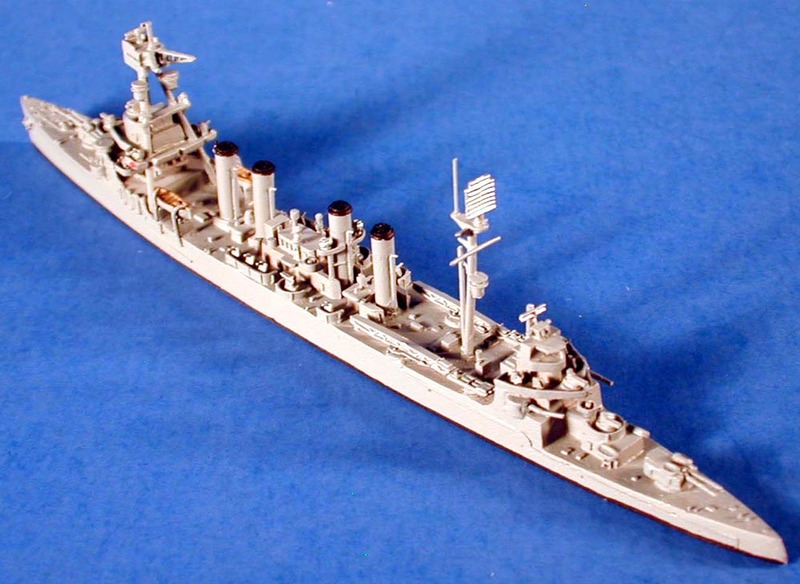 Marblehead was assigned to the Asiatic Fleet from early 1938 until early 1942. During most of that time, as tensions rose over Japan's aggression in China, she cruised through Far Eastern waters in support of U.S. interests. After the Pacific War began in December 1941, Marblehead operated in the Netherlands East Indies as part of a greatly outnumbered Allied naval force. On 24 January 1942 she covered the Battle of Balikpapan, in which U.S. destroyers made a daring and successful attack on Japanese invasion shipping off Borneo. While steaming in the Java Sea on 4 February, en route to again attack the Japanese, Marblehead was hit and near-missed by several enemy bombs. With great difficulty the severely damaged ship was able to make port at Tjilatjap, Java, for immediate repairs, then went back to the U.S. by way of Ceylon and South Africa. Following several months of shipyard work at New York, in the autumn of 1942 Marblehead went to the South Atlantic, where she patrolled between Brazil and Africa until February 1944. Convoy service in the North Atlantic followed. 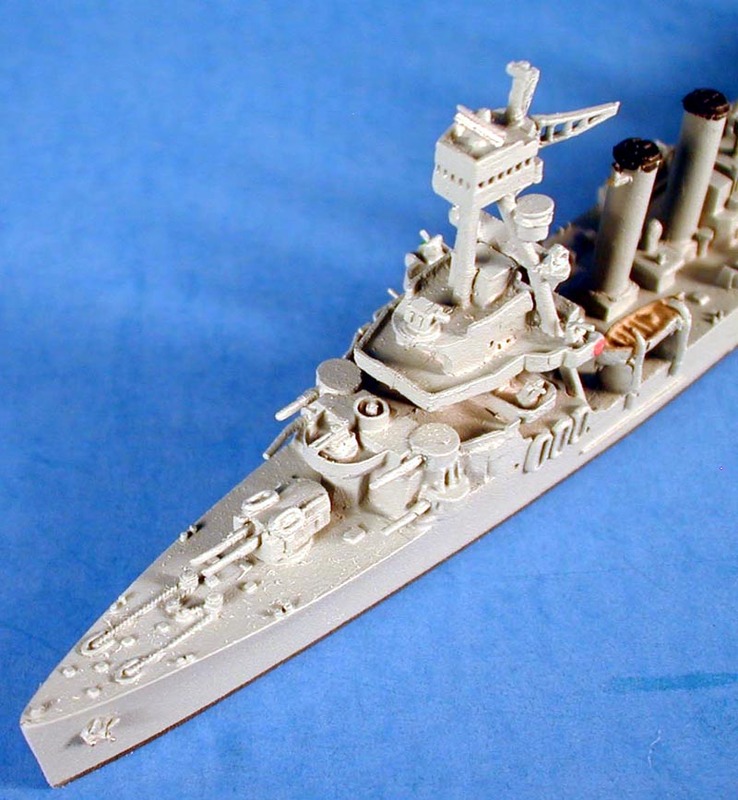 In July and August 1944 she was in the Mediterranean Sea to participate in the invasion of Southern France, during which her six-inch guns bombarded German defensive positions ashore. Marblehead's final active service, in mid-1945, was as a training ship for Naval Academy midshipmen. She was decommissioned at the beginning of November 1945 and scrapped in 1946. From the Navy Historical Center Marblehead page. 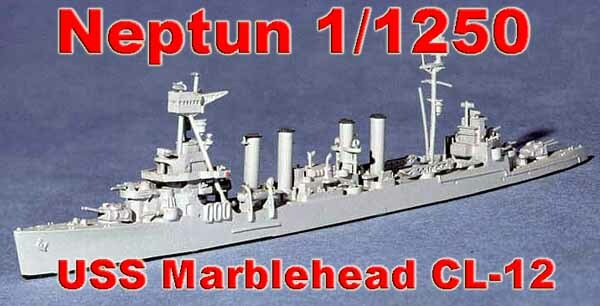 The Neptune USS Marblehead represents the ship in her 1944 appearance. The model is well detailed and appear to be accurate according to my references. 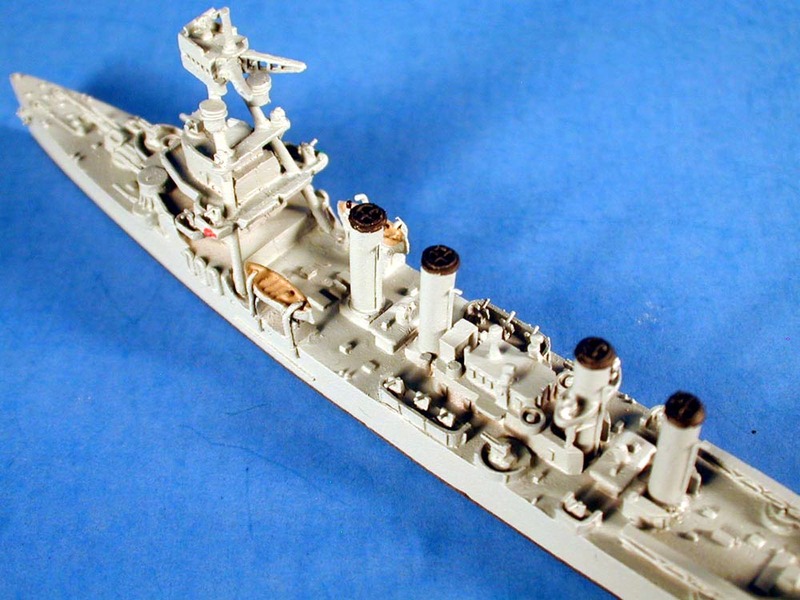 The detail is very good for this small scale and rivals that of ships in larger scales. 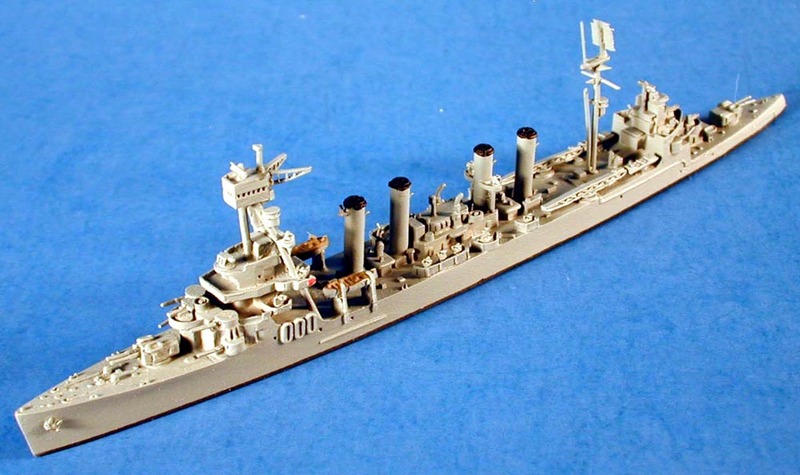 These ships are hand painted with an overall Navy Gray scheme. Funnels are painted black with red recognition lights painted on the bridge wings. The turrets are pinned in place and can be rotated. Even the deck has nice anchor chain detailing. 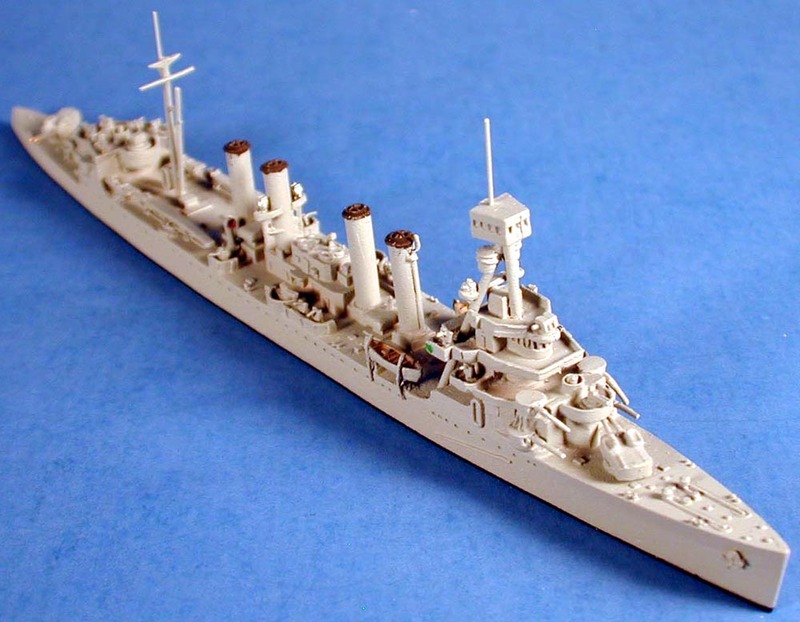 This is another example of Nuptun's extremely fine detailing especially for 1/1250 scale. 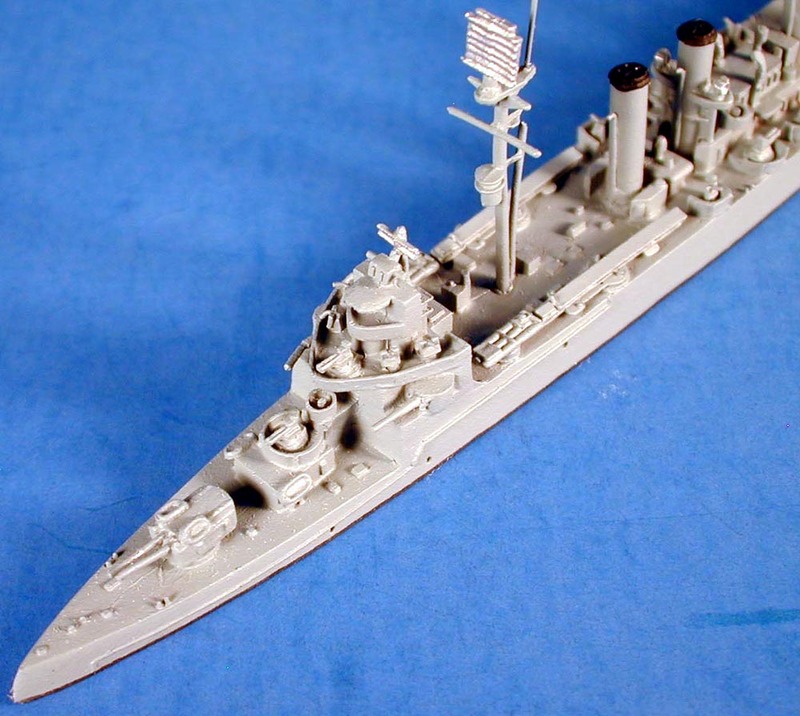 This is kit #1343a USS Marblehead Light Cruiser 1944 and sells for $46.25 US. Special thanks to Morning Sunshine Models for the review sample. 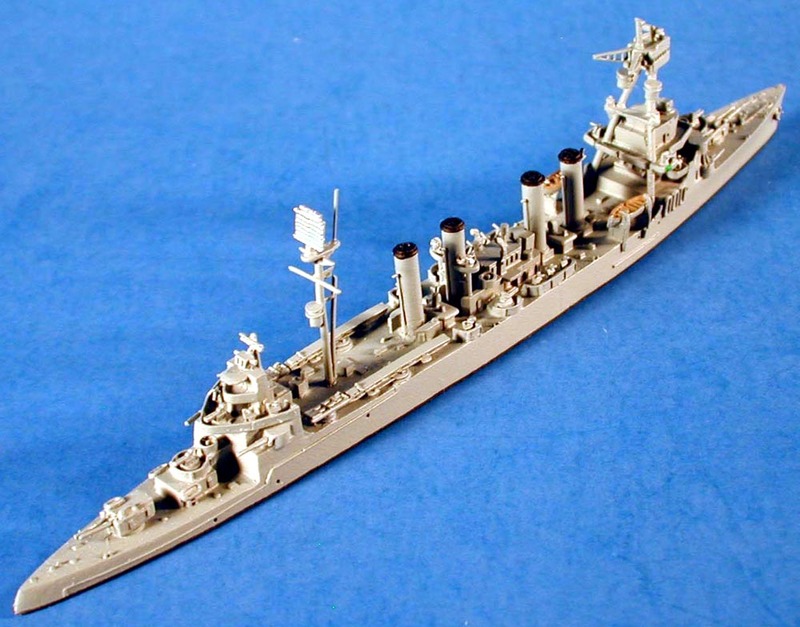 Check out their complete line of 1/1250 ships on their website.